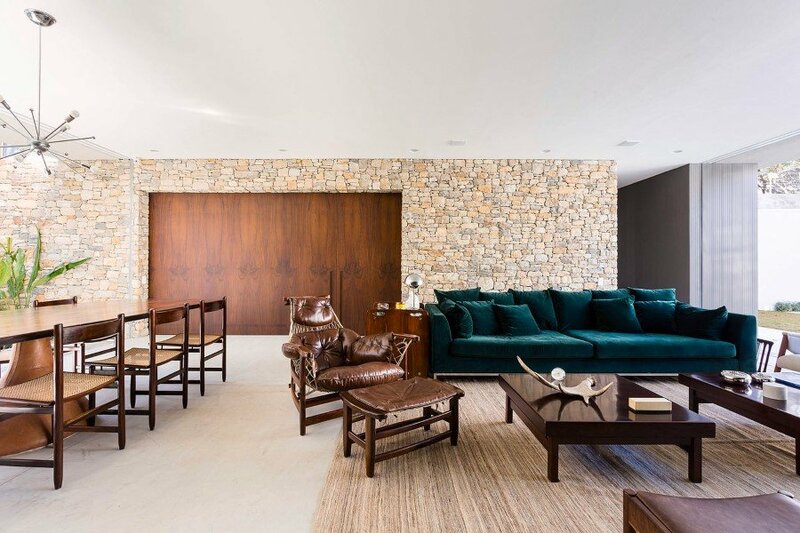 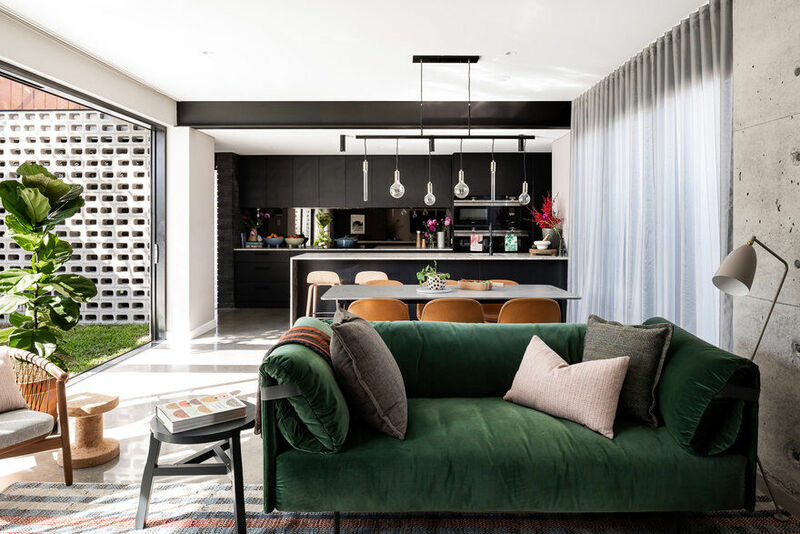 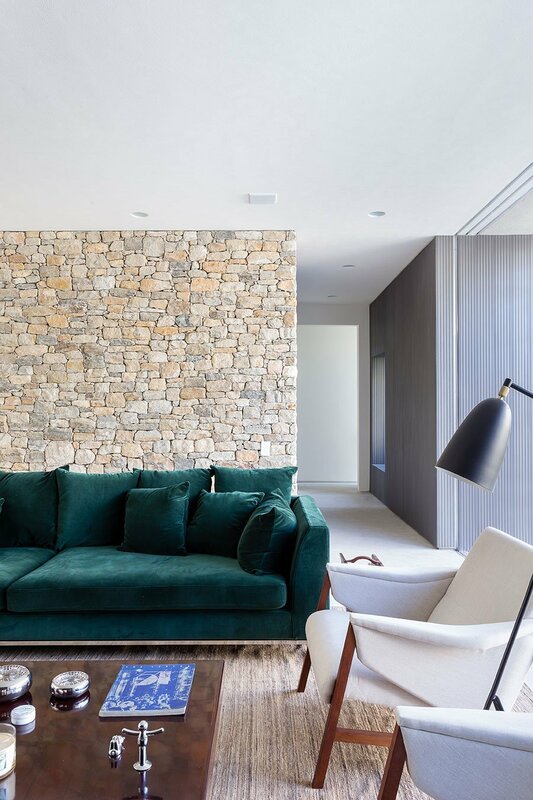 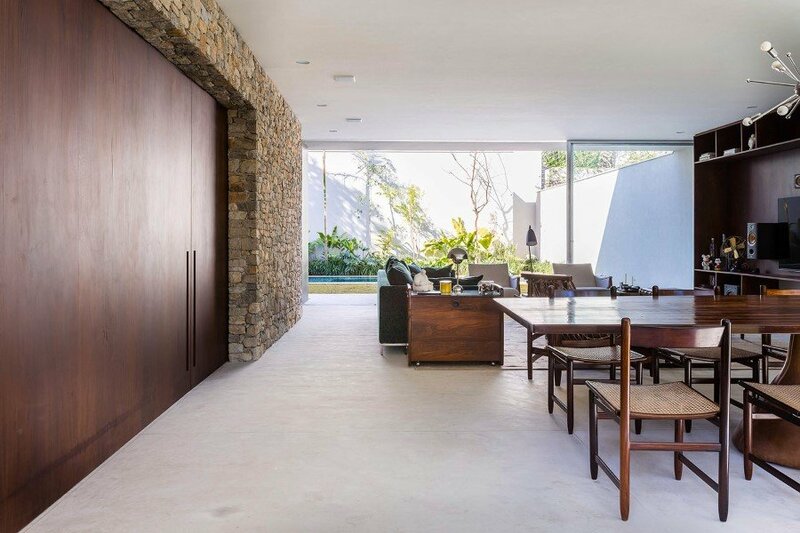 Designed by Felipe Hess in collaboration with associate Federico Concilio, Lara house was commissioned by a young businessman who needed enough space to entertain his family and friends. 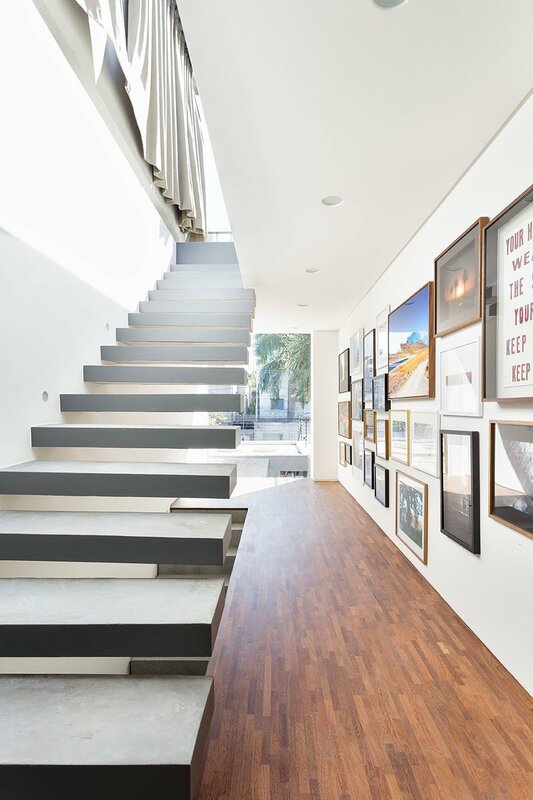 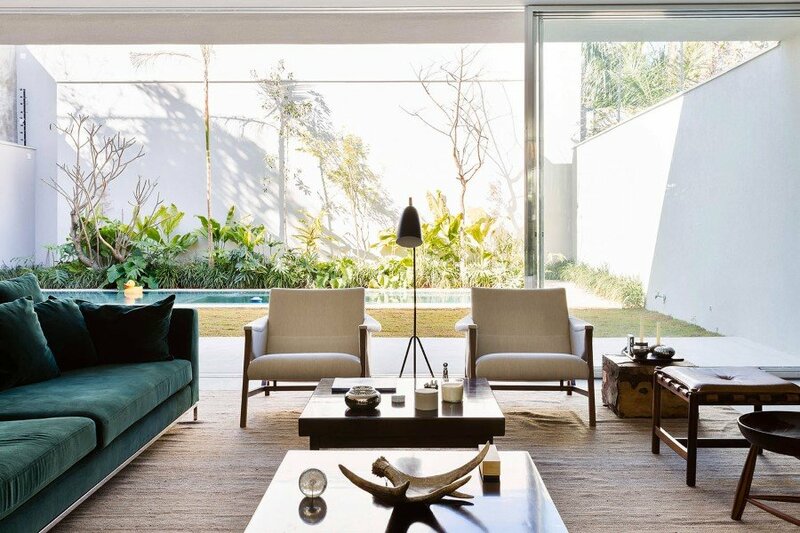 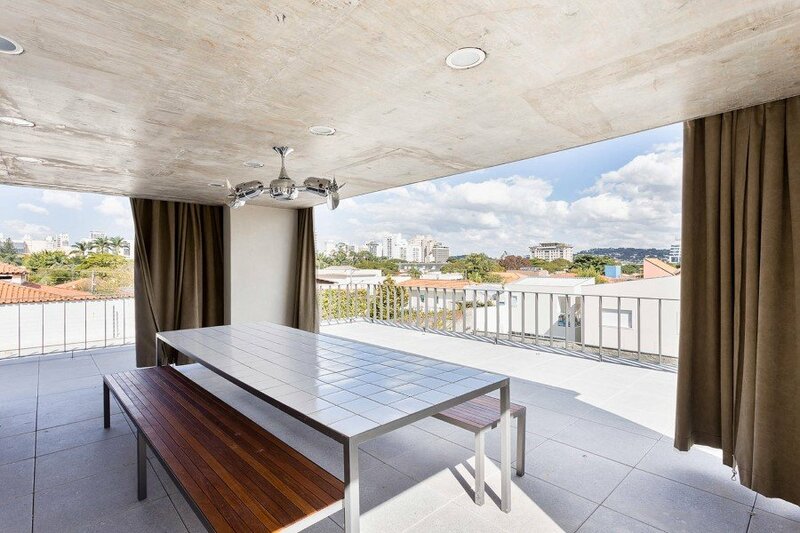 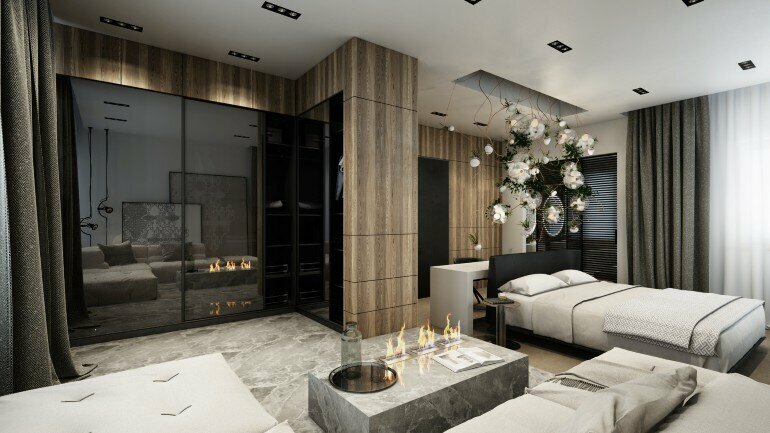 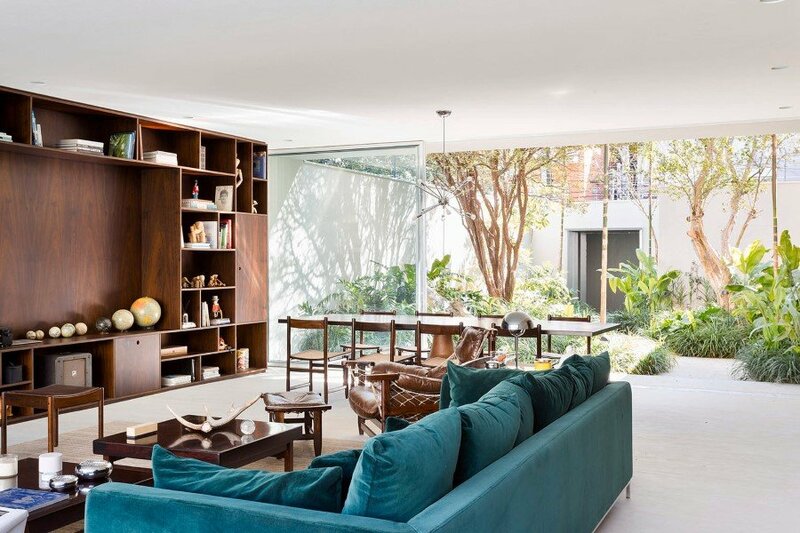 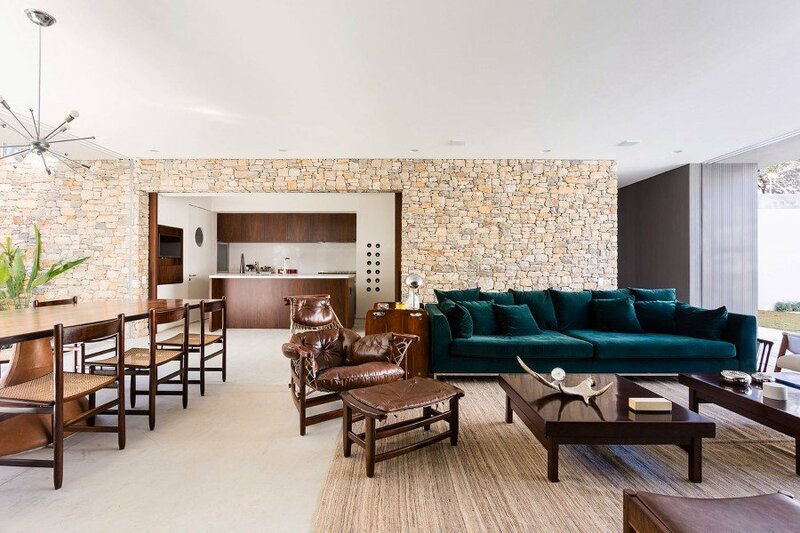 Lara house is located in São Paulo and has a built area of 350 sq.m. 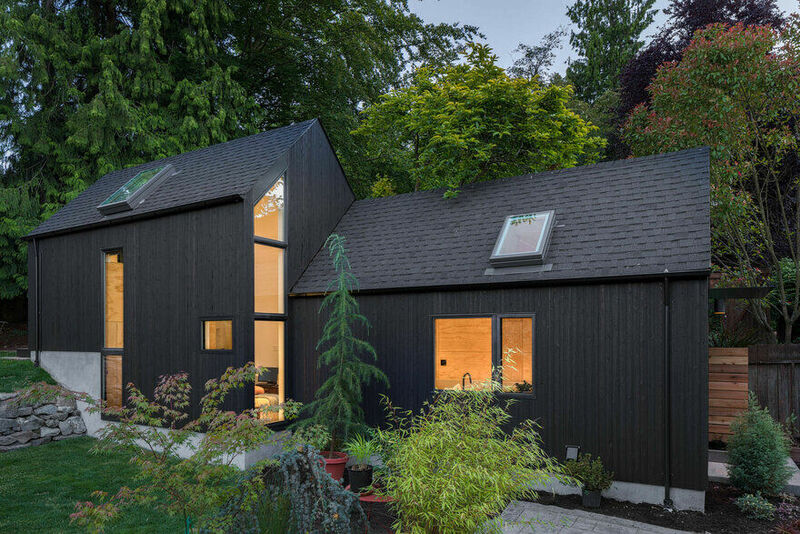 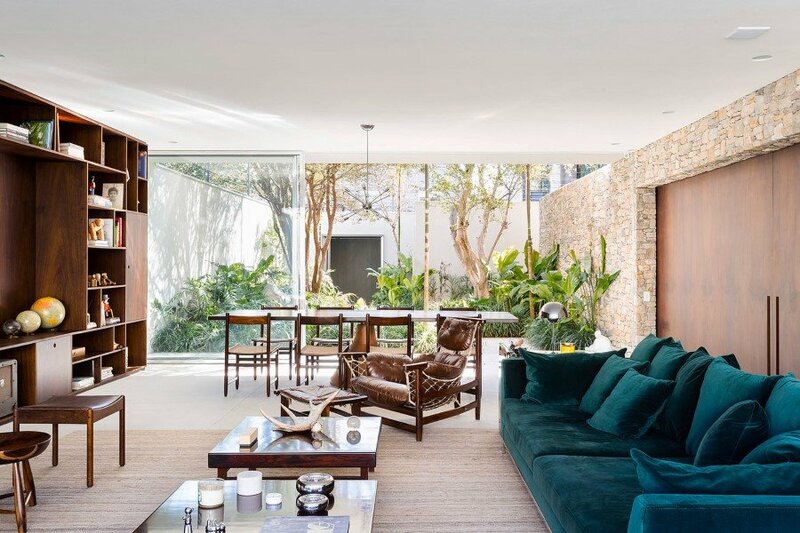 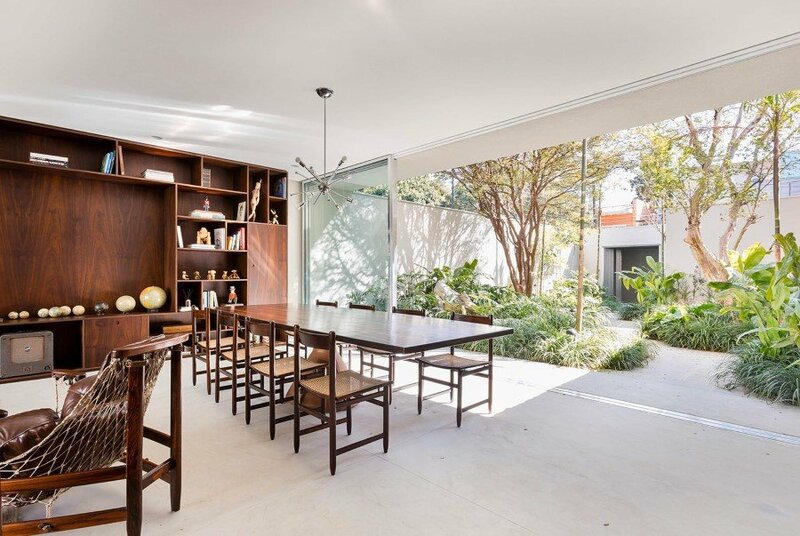 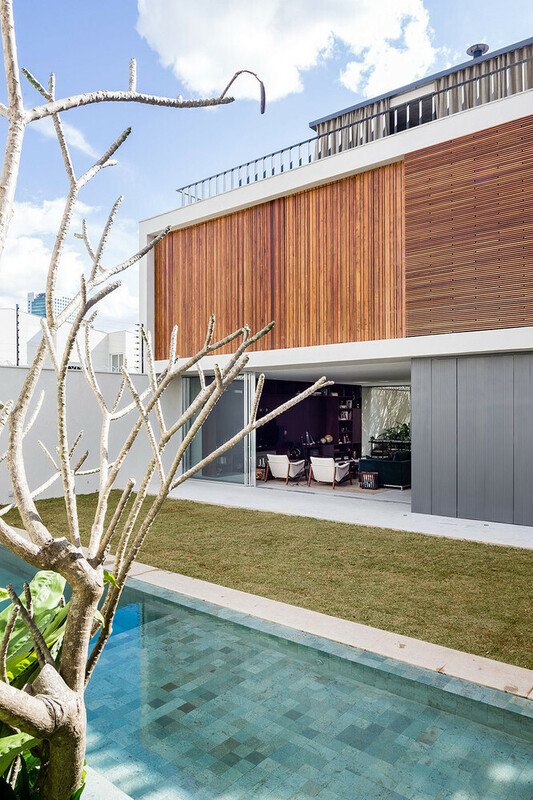 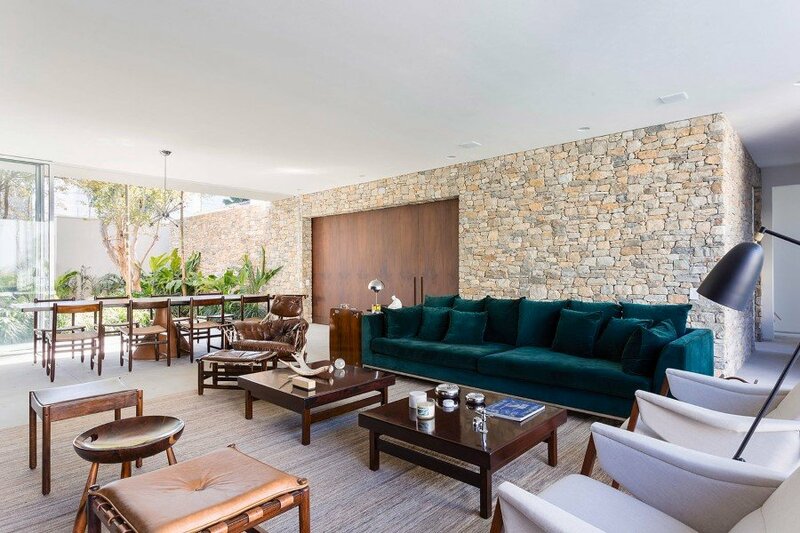 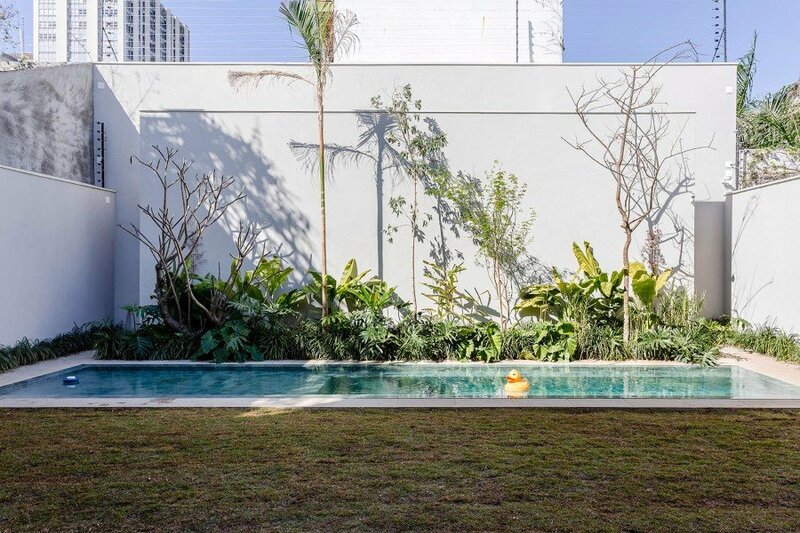 Description by Felipe Hess: Taking advantage from the local construction laws, which allow to build up to the side borders of the plot, the architects designed two gardens, one in the front and one on the back of the house. 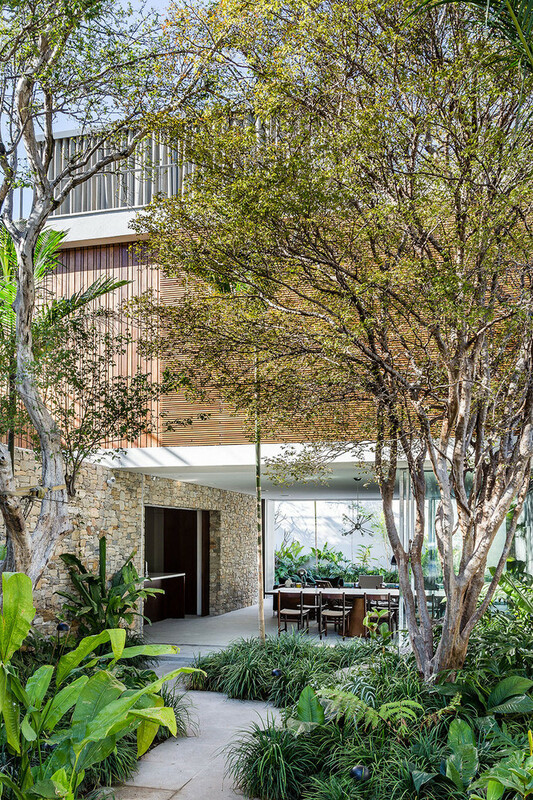 The entrance happens through a flourishing tropical garden hiding the actual house and giving access straight to the integrated living-dining room, which opens on the back garden too. 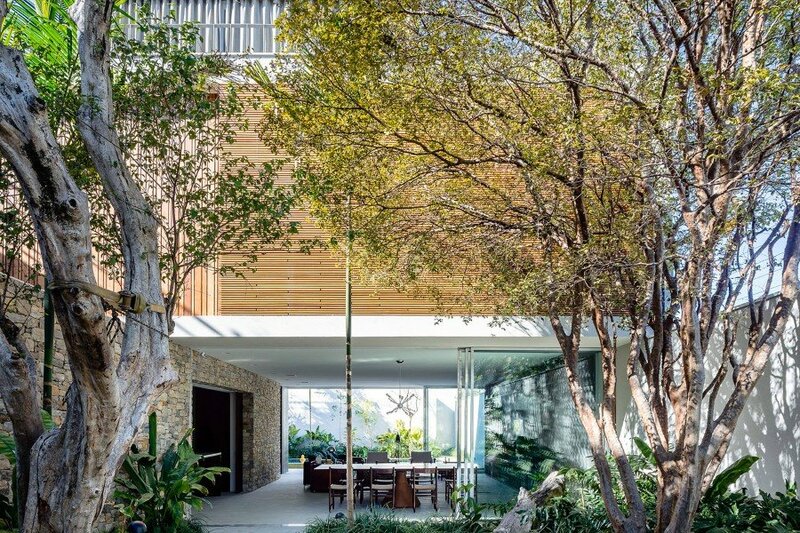 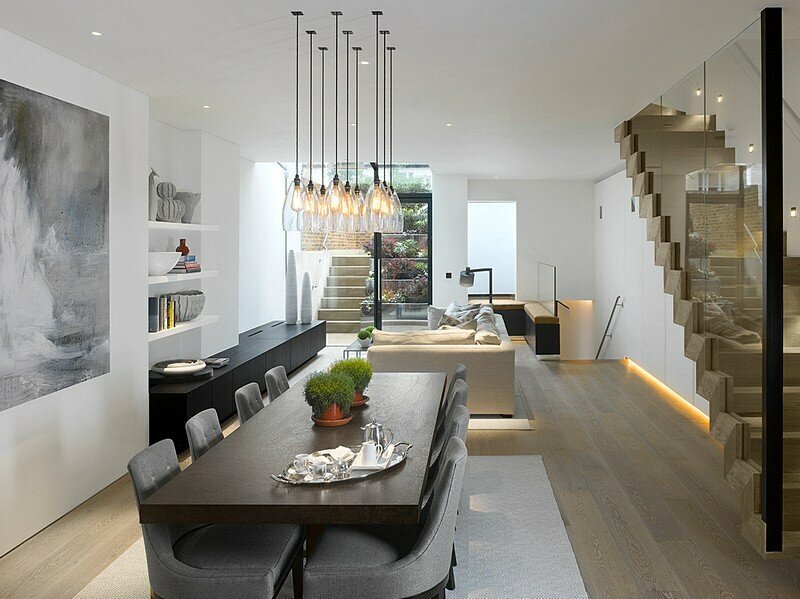 The upper block, which accommodates three complete suites, uses the whole width of the plot and opens on both gardens. 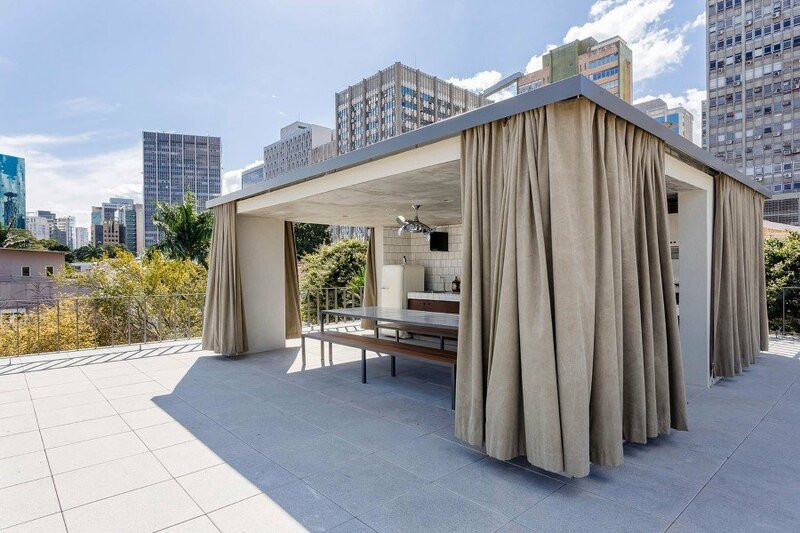 It leans on the border walls and on two ground floor volumes, which organize all the service facilities: the stone box hosts the laundry, the kitchen and deposits, while the metallic one, on the back, contains the social lavatory and an equipment storage for the garden and swimming pool. 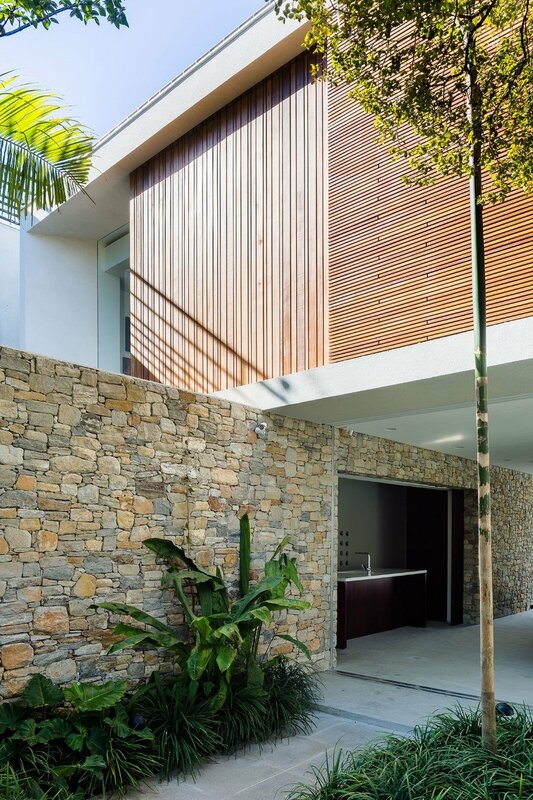 Behind the pool, a high wall hides the steam room as well as the vestiaries. 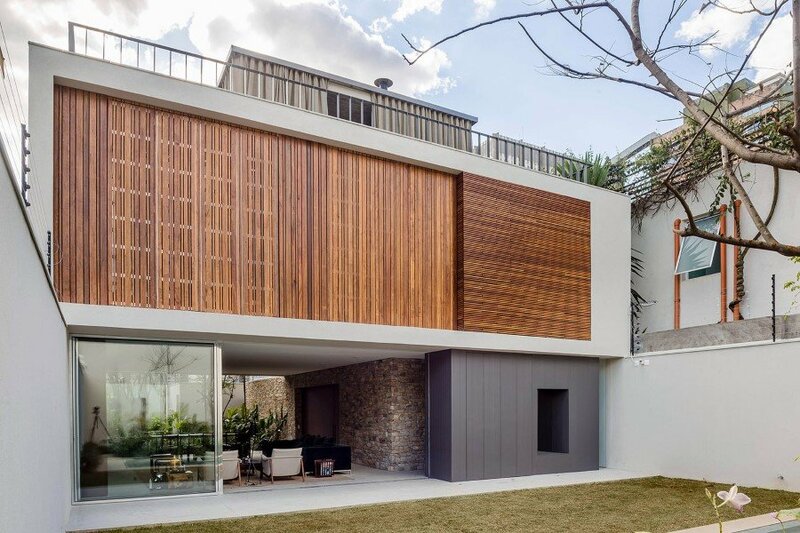 The façade texture is given by the variation of the wooden slats: the horizontals, regular and fixed hides the bathrooms, giving privacy and yet view on the surrounding trees, while the verticals seals the rooms with irregular openings and different boards ‘sizes. 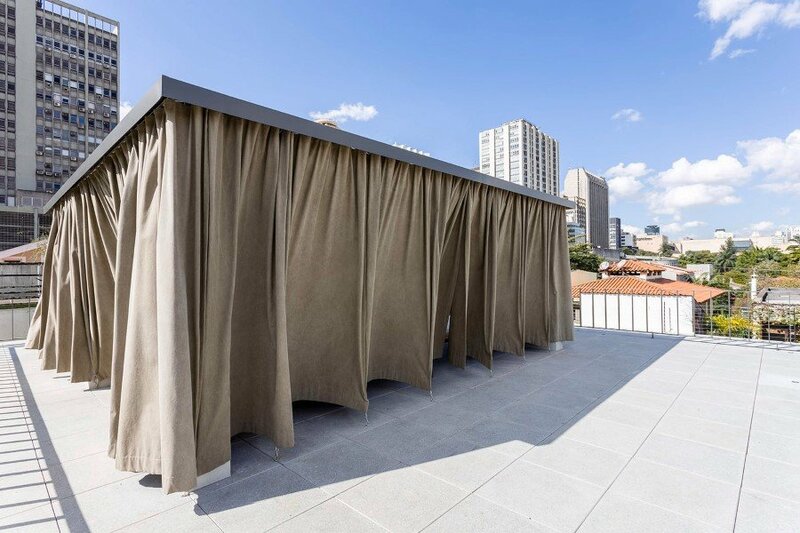 This solution allows natural lighting and ventilation to all rooms, without losing discretion. 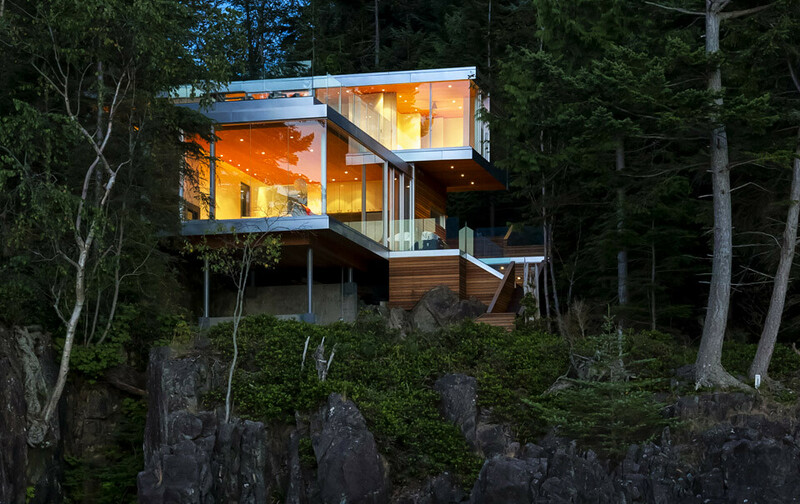 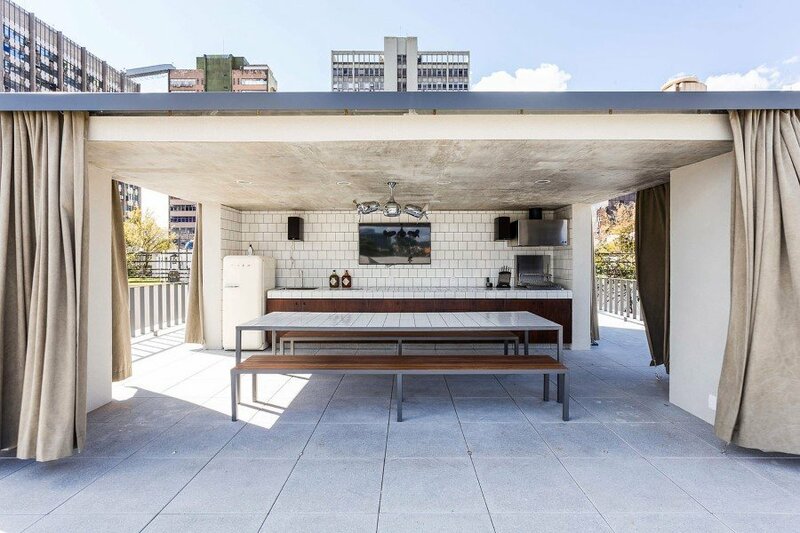 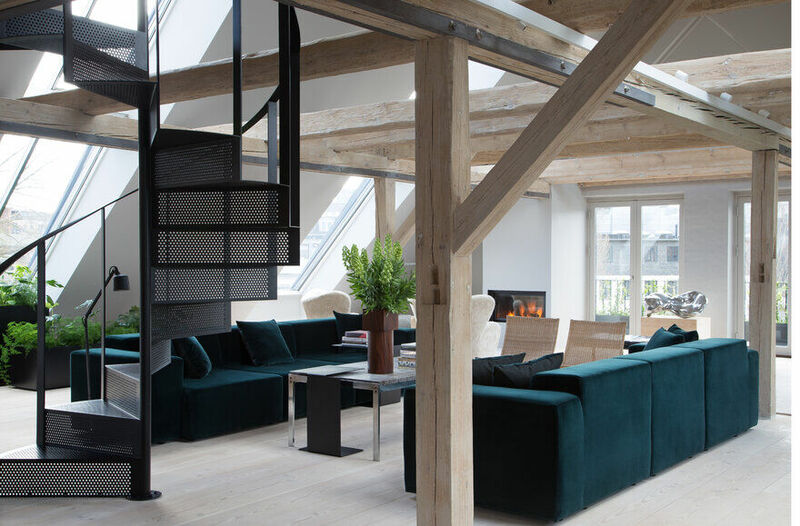 On the top floor, a curtain box crowns the volume, hosting the water tanks and the barbecue. 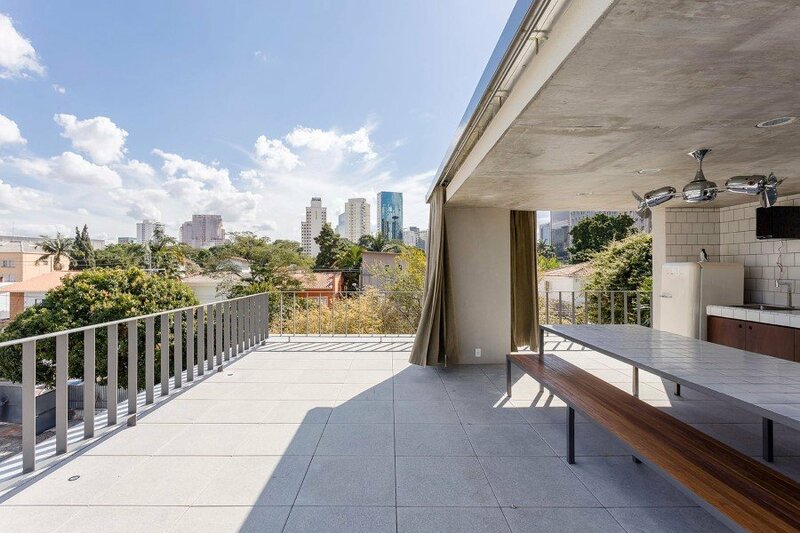 All around it, a wide solarium terrace with a 360 view on the city.